We hold regular workshops at Babylonstoren as we see it as an ideal opportunity to share what we’ve learned and to also learn from our community. Experts in their fields host these workshops in collaboration with our team. They’re quite hands-on so you will get to try out the skills, technique or discipline that we’re learning about. Starting with a walk through the garden, it is usually a full-day affair with lunch included. 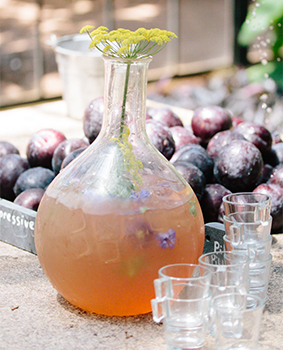 Join the fermentation revival! Our fermentation guru shares the tricks of the trade. Enjoy the pleasure of sharing a cup of tea with our gardener Gundula as we blend herbs and flowers to tantalise all senses. Spread your branches – we’re cultivating trees! Use Mother Nature’s pesticides for a beautiful, naturally balanced garden. Ernst and Arné will show you how! Explore the premier cycad collection in Africa with botanist Ernst van Jaarsveld and learn how to nurture these lovely living fossils. The magical shroom – explore different shapes and tastes and grow your own at home. You can survive on wild plants growing in the veld. Come get your hands dirty and plant your own edible plants. Learn everything there is to know about these African icons that brighten our winters with their flashy candles. Create your own unique juice from winter veg and fruit. 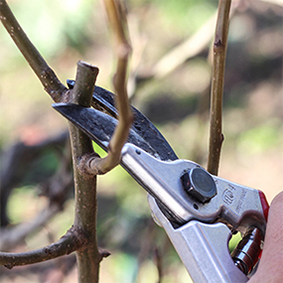 Energise your fruit trees with a good winter pruning. The art of espalier – secateurs in hand we guide you to produce beautiful shapes. 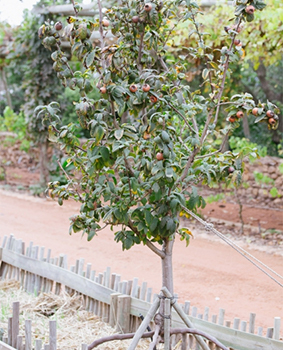 Shape ’em, graft ’em, bud ’em: you too can create a fruit tree. 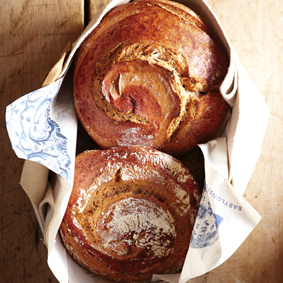 All you knead is love … and some flour! 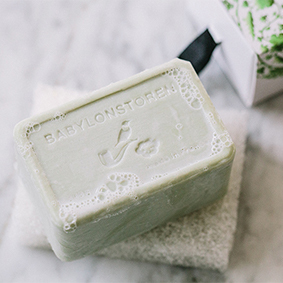 We’ll help you master the age-old craft of making natural soap. Master the art of growing asparagus! Growing clivias in your own patch? Come get your living souvenir! Join us in the vegetable patch and learn what and when to sow and harvest. Buzz into a beehive and meet the Queen: it’s pretty weird! 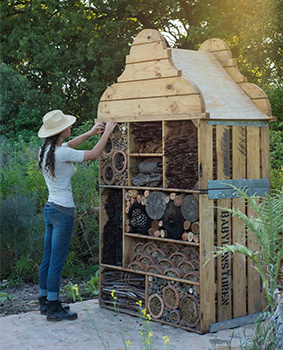 How about a hive for your garden? 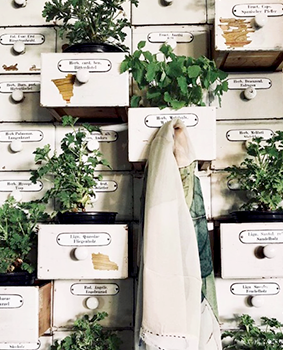 Find out how to benefit from using herbs in healing, looking at our local remedies and acknowledging the value of some of our familiar herbal companions. The language of flowers bundled with a scent, this is a tussie-mussie making day. From the smallest to the largest on the planet – we dish out all the tips for growing succulents. Throw out the pesticides! Make use of predatory birds, insects, spiders and other garden animals to restore the natural balance in your garden. This can be achieved by companion planting, installing owl and bat boxes, and also by creating a safe haven for reptiles and frogs. We will help you plan a well-balanced garden that encourages local indigenous animals, increases biodiversity and restores the natural order, thereby freeing you from using chemicals. 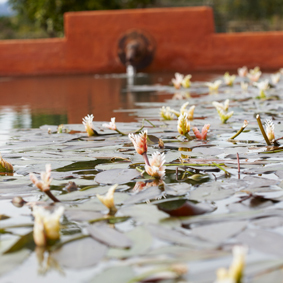 You can also have a well-balanced, crystal-clear pond without being carried away by mosquitos. Cycads are great waterwise subjects and, once established, very drought tolerant, with great architectural features. They are cone-bearing living fossils – great survivors from a period in the earth’s history when they were the dominant species. 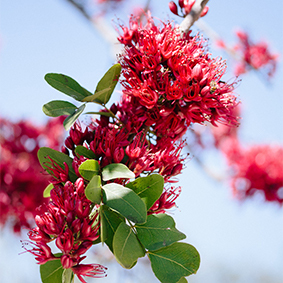 About 45 species grow wild in southern Africa, ranging in size from small and short to trees of about 10 metres tall. Come and admire our cycad garden which includes most South African species – also the very rare Encephalartos woodii. Ernst gives an illustrated talk on cultivation and propagation from seed and suckers as well as pests and diseases. You can also ask him about the best cycad choices for your garden. We then get practical and learn how to grow seed and remove suckers, as well as other planting tips. With two-thirds of South Africa being semi-arid, gardening can be challenging and so we have a new obsession – succulents. 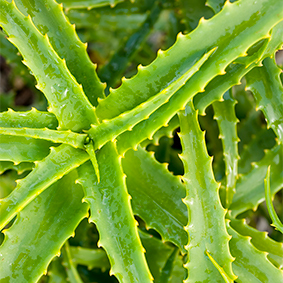 Grow local species in your drought-tolerant garden and add to its architectural features some of the larger euphorbias and aloes. They vary from low ground covers to large shrubs and even trees of 10 metres tall. After walking with us through our cycad garden to look at various succulent ground covers and species, Ernst shares tips during an illustrated talk. In the afternoon we’ll get practical and learn how to grow succulents from seed and cuttings. 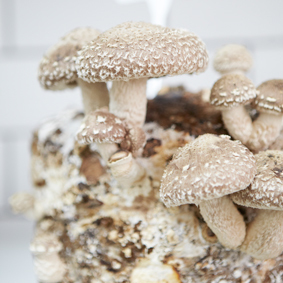 Spend the day with experienced local grower Kotie van Tonder from Darling Gourmet Mushrooms to discover more about the magical world of mushrooms. 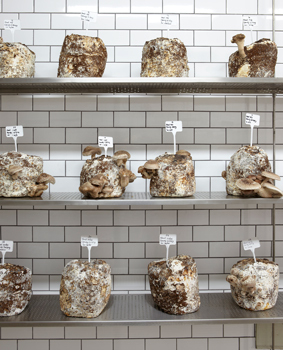 Enter our mushroom room to harvest your own fresh shiitake and oyster mushrooms for lunch. Kotie will share and demonstrate some of the tricks of cultivating beautiful oyster mushrooms and guide you as you fill your own bags of straw inoculated with spores and oak logs with shiitake plugs, to grow (and harvest!) at home. Lunch will be served in the Greenhouse Restaurant and is included in the price. 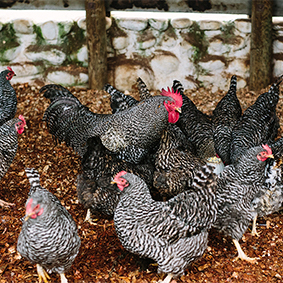 Interested in keeping a few free-range chickens but not sure about the pecking order? 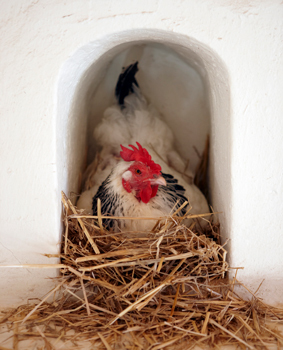 Experienced poultry farmer Christo Botha will share the practicalities of keeping chickens at home, be it for fresh eggs, chicken manure to boost your compost, snail control or as entertaining family pets. We will spend time in and around the historic fowl house and chicken pen in the garden to discover what chickens need if they are to remain happy and healthy. Can’t tell the difference between African Boschvelders, Potch Koekoek, Leghorns and Black Australorps? Christo will help you select the best breed from what is locally available. For thousands of years, the indigenous peoples of southern Africa survived in the veld. Throughout the seasons, they were skilled in recognising and using the various parts of wild plants – bulbs, shoots, flowers and fruit – as food. Botanist Ernst van Jaarsveld shares his wealth of experience of South Africa’s indigenous plants while we walk through the garden, picking and tasting food plants in season. 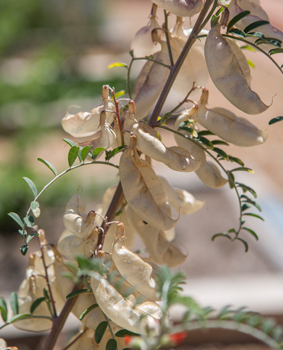 Learn how to recognise edible veld plants as well as how to propagate and plant them. 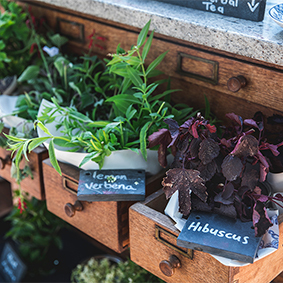 Get ready to tuck your hands in the soil and plant your own edible plants to take home. 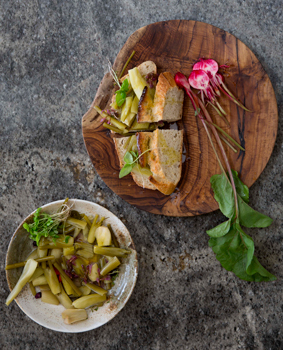 Our lunch menu is inspired by the indigenous food plants we learn about and will be served at the Bakery – included in the price. 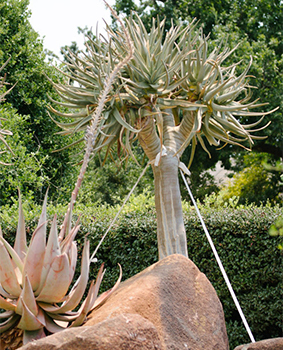 Come and spend the day with Ernst van Jaarsveld, succulent expert and author of Tree Aloes of Africa. These are true African icons, brightening up our winters with their flashy, red candles. They range in size from grass aloes a few centimetres tall to the large tree aloe that can reach 20 metres in height. 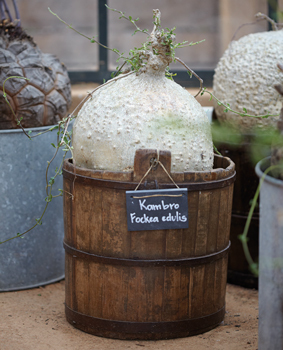 Walk through the garden with Ernst and see Babylonstoren’s aloe collection. Ernst shares his growing tips and will help you make the best pick for your garden. Pests and diseases will be discussed, as well as methods of propagation from seed and cuttings. 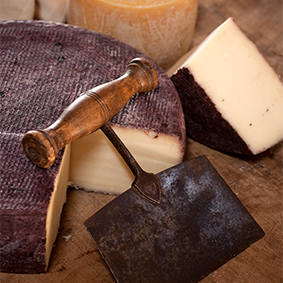 We’ll welcome you through the glass doors of our fully equipped Cheese Room. Come and learn from the main mouse on the farm, Alta Eybers, about ingredients, equipment and the process. Guests will observe while Alta demonstrates how Babylonstoren specialities such as ricotta, haloumi and fior di latte are made. But what is cheesemaking without cheese eating! Lunch is included in the price and will consist of cheese and meat platters, offering you a range of cheeses to be paired with conserves. 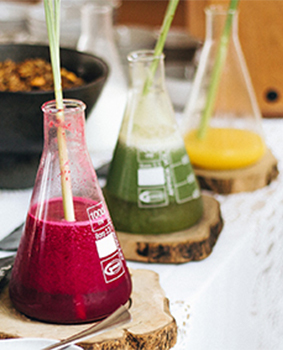 Our raw green, red and yellow juices have become a signature offering at Babel Restaurant and the Greenhouse. We recently started producing cold-pressed juices with a longer shelf life without compromising on nutritional value and taste. 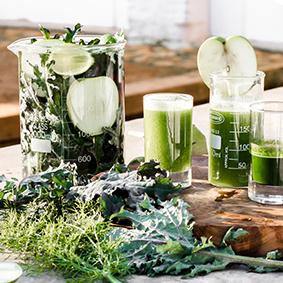 Join us on a journey of making cold-pressed juices. We use seasonal produce from our farm and surrounding areas to make 100% vegetable and fruit juices that are pressed, bottled and preserved on the farm. Experience the whole process – from the harvest in the garden to the farm factory where the fruits and vegetables are washed, shredded and pressed below 10⁰C. This is a unique opportunity to see how juice is preserved with high pressure, a cutting-edge technology that extends the shelf life of cold pressed juice, without using heat or preservatives. Nothing added, only goodness. In the afternoon we’ll get creative and give you the opportunity to taste, blend and create your own seasonal juice. 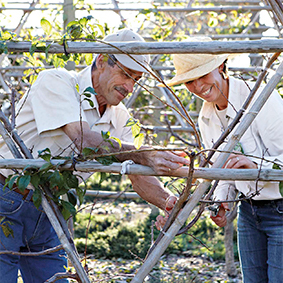 A good winter pruning stimulates new growth for a quality future fruit crop. Spend the day among the dormant trees with Anton to guide you on how and where to cut your trees into shape. Apples, pears, stone fruits, quince and figs all develop their fruit on different growths. 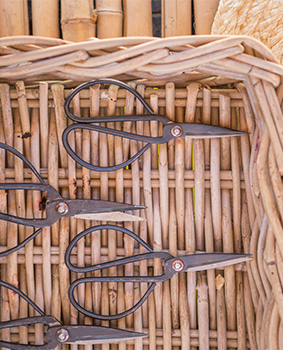 This is your opportunity to learn more about fruit-bearing tips, spurs and overwintered growth before you grab your secateurs. Be inspired by the different forms and patterns of our espaliered fruit trees – apples, pears, quince and nectarines grown in the Babylonstoren garden. Winter is the best time to admire the bare trees in their dormant simplicity, also to plant and prune for summer fruit. 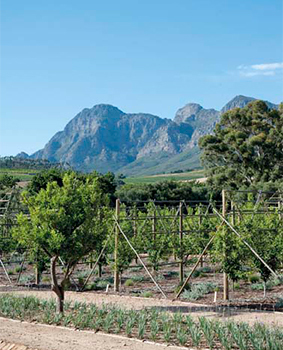 Pruning pro Anton Roux helps us to plan before planting and will also provide some tips on selecting the best trees for espaliering. 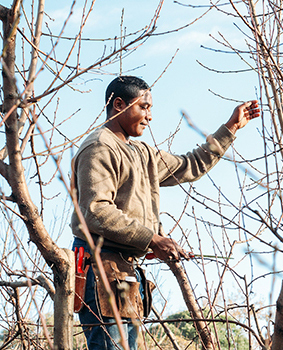 Secateurs in hand, he’ll guide us through the different stages of shaping an espaliered tree from years one to ten. You’ll also start your own espaliered tree to take home as a souvenir. 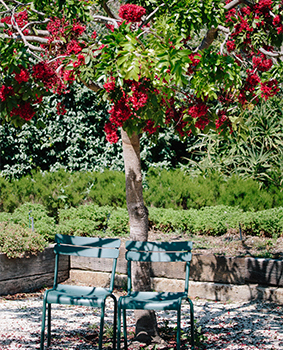 We’ll take a stroll through our garden and visit some of the special trees planted there while Anton Roux shares their history with us. Admire our medlar on quince, rare apple varieties and heritage pears grafted on special rootstocks. 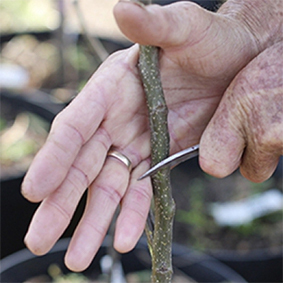 Grafting is a very old technique – our grandparents often grafted trees so they could have different types of fruit growing on the same tree. The more modern technique of budding is such an easy skill that anyone can master it. With a bit of practice and a few special tricks up your sleeve, you will soon be growing all kinds of interesting combinations. Set a day aside and join our garden team to learn about the different techniques and try your hand at some of the basics! 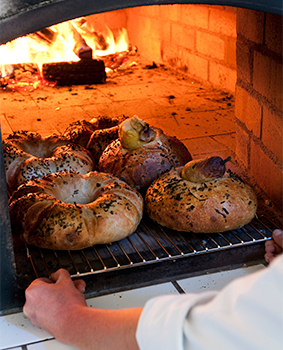 Sift, roll, cut, fold, knead, punch, dust, brush, flour, taste – we’re baking bread! We will be using our own flour (stoneground from wheat sown and reaped on the farm). Jump on the waggon for a ride through the wheat fields where farmer Hannes Aucamp will show us how healthy wheat is grown. We then get our hands dirty with some kneading while master baker Tina Jewell shares her secret recipes. But not before we make our own sourdough starter for taking home and nurturing there. 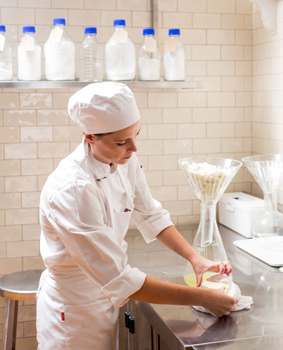 Join us for a dough-inspired lunch in the Bakery – included in the price. We are joined by Bev Missing, brand founder of Rain and author of The Rain Book of Natural Soapmaking. She shares with us the artisanal art of soapmaking using natural ingredients that are readily available in the home kitchen. 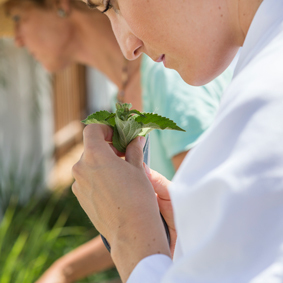 We will work with essential oils that are extracted on our farm – rosemary, lavender and rose geranium. As is the case with most of our workshops, we’ll take a leisurely walk through our formal garden. This time, we’ll take a look at where and how these three herbs grow in our garden. Then we’ll make our way to the distillery and watch how one of them is being distilled. You will be making your own individual soaps to take home, so please bring along an old hand towel. 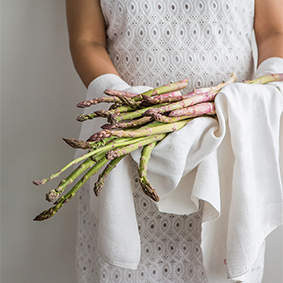 Celebrate spring with fresh young asparagus spears – from the garden to the table. 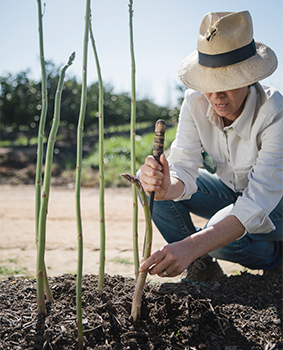 We start with the essential basics of growing asparagus in the vegetable garden – from preparing the soil to planting and nurturing the crowns through the seasons. Young plants take up to three years before they are ready for harvest, but once established, they can be cut again and again for many years. 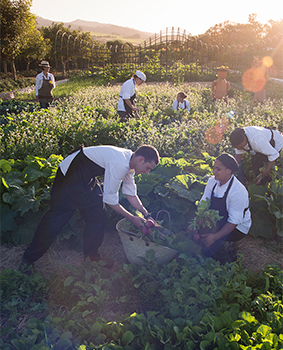 Once you have mastered the art of cutting the delicate green tips, we’ll take the harvest to the kitchen where the chefs will demonstrate their skill and create a memorable lunch. Our lunch menu is inspired by the versatile asparagus and will be served in the Bakery – included in the price. We have thousands of clivias growing in the shade of our wild olive trees, as well as the very special Mick Dower collection displayed in the Puff Adder. 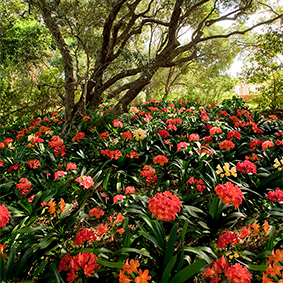 Enjoy a guided walk through the flowering clivias and learn more about the different species and their selected hybrids. 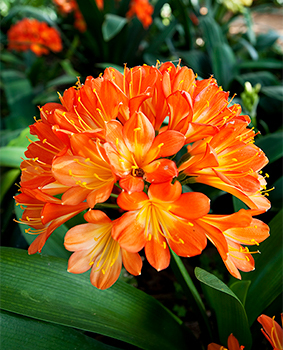 Experienced clivia growers will share their wealth of knowledge on the subject of growing and maintaining clivias – they’ll give you tips on sowing, dividing old plants, potting mixes and fertilisers for clivias as well as on how to treat common clivia diseases. In the House of Shadows, we take a look at some of the best known clivia hybrids and the art of cross-pollination. Then it will be your turn to stick your hands in the soil and plant your very own clivia, a living souvenir to take home with you. 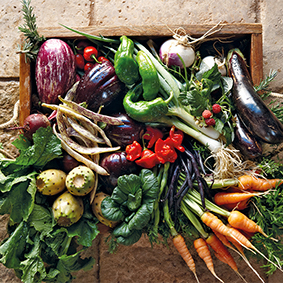 Want to grow your own fresh, organic vegetables? 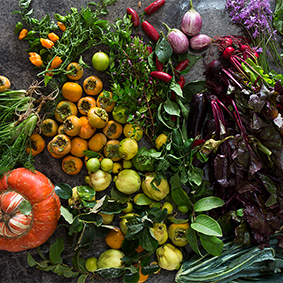 Join us for a walk through the vegetable garden to harvest a variety of seasonal leaves and edible flowers. We will share growing tips and tell you more about crop rotation, soil preparation, compost, mulches, propagation and planting. You will have the opportunity to sow salads and get some inspiration to plant sweet potatoes, carrots, beetroot, beans, eggplants and fennel in your patch this summer. Warmer weather brings more buzz to our garden. 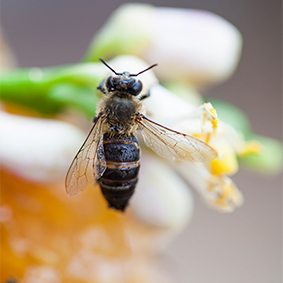 Cape honeybees are VIP residents at Babylonstoren and in spring they are hard at work foraging for pollen and nectar. Not only do they produce sweet honey for the Babel Restaurant, but they also play a key role in pollinating many of our garden fruits, herbs and vegetables. On our walk through the garden we’ll take a look at the plants favoured by bees, from nectar-filled annual flowers to pollen-rich trees. 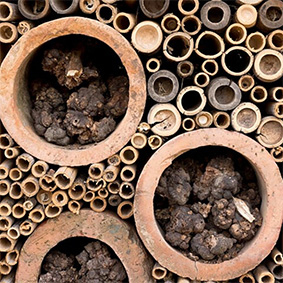 Discover the garden collection of differently shaped beehives – from the traditional woven skep, the practical Langstroth with moveable frames to the much talked about flow hives. 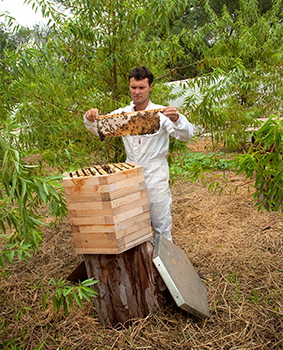 Learn more about the local indigenous Cape honeybee and the basics of beekeeping. Inspect the hives with us while we parade in our beekeeping suits. Indulge in a refreshing lunch served in the Greenhouse Restaurant – included in the price. We welcome you into the sanctuary of our Healing Garden. Here Gundula, the guardian of this garden, inspires us to look with new eyes at familiar herbs and will provide some guidelines for approaching unfamiliar herbs. Sonia is the medical consultant for this garden. 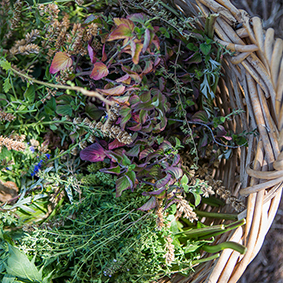 She shares her understanding of how herbs may support and guide the body to health. We will discuss a few simple remedies that are safe to use at home. Scent takes a short-cut to the brain. We promise a fun day of celebrating the fragrances found in the garden. Explore the different ways to capture memories of the season and how to share these with our loved ones. Constance, our décor diva, will demonstrate how to make a tussie-mussie and Gundula, our Healing Garden guardian, will help you make a wreath to celebrate seasonal festivities. The succulent wealth of South Africa is world renowned: 35 plant families, varying from dwarf stone-plants a few centimetres tall to the gigantic baobab, the largest on earth. 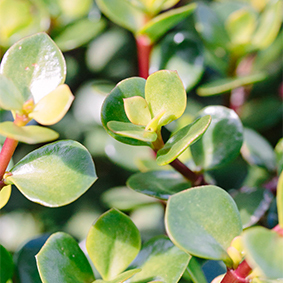 Take a walk with us to look at various succulent plants for your garden. Ernst will dish out many tips picked up over the years and tell us all about the succulents of Southern Africa and their various propagation techniques. We then get down and dirty, planting our own succulents.